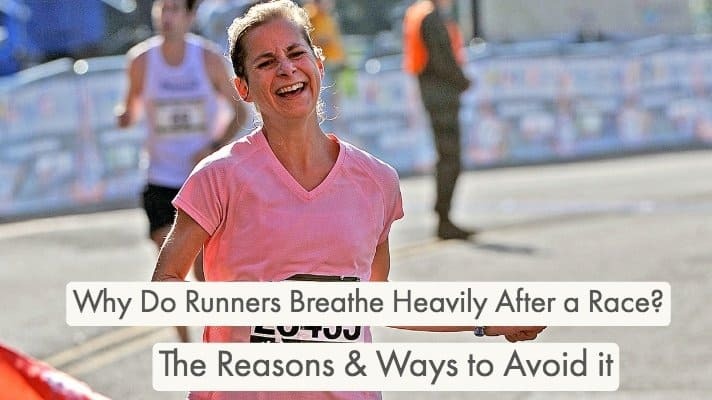 →Why Do Runners Breathe Heavily After a Race? Why Do Runners Breathe Heavily After a Race? It’s one of the most natural things in the world and something every athlete knows: Runners will always breathe heavily after running a race. Indeed, their breathing will always be heavy after working out, especially if the runners are going fast and truly pushing themselves. Live Science has one of the best diagrams of the respiratory system, which includes the parts of the body responsible for all animals being able to breathe. The important parts of this system include the lungs, pharynx, larynx, nasal cavities, oral cavity, diaphragm, bronchioles, and bronchi. The purpose of this entire system is to fulfill one significant gas exchange which gets the body what it needs to survive. The full function of the respiratory system is simple. The involved organs allow runners to breathe in the air around them, which travels from the nose and mouth down to the lungs. From there, the air is put in contact with blood cells, which take what they need and leave the rest. The unnecessary parts of the air which were breathed in are then exhaled, and the entire process begins again when the runner takes another breath. The video explains the process in a bit more detail, complete with visuals and labels of the organs involved. The thing that blood cells need is oxygen. According to the Royal Society of Chemistry, oxygen is a colorless, odorless gas and the eighth element on the periodic table of elements. The U.S. National Library of Science explains that blood needs oxygen because it is an important part of something called metabolism. Metabolism doesn’t just refer to how many calories a runner burns but to a process which occurs on a cellular level in the body. Blood transports oxygen to the cells, which metabolize it to create energy used to repair things like cuts and provide the fuel needed for the body to keep moving. Everyone knows it is difficult to run or think clearly when hungry, and this is because the body has run out of fuel. The oxygen inhaled while breathing provides a large source of energy to the cells in a human body. Even when hungry, a person can still keep going for a long time because they are receiving oxygen. Indeed, a person can survive a lot longer without eating than they can without breathing – several days compared to several minutes (for me several hours before I get hangry). This is because oxygen is the main source of fuel for the process wherein cells break down food into nutrients and energy. Without it, the body cannot function properly, the blood cells will not be oxidize, and the entire body begins to shut down. Oxygen is even needed to eliminate carbon dioxide, which is the gas animals exhale after their body has taken the oxygen out of air. But what does all of this nonsense about oxygen and carbon dioxide have to do with how heavily a runner breathes after a race? Breathing in brings oxygen into the body, and breathing out releases carbon dioxide and other gases the body doesn’t need. While running, humans tend to take shallow breaths which don’t bring enough oxygen into the respiratory system to fit the needs of blood and cells. This additionally causes a buildup of carbon dioxide, which is why individuals can experience a phenomenon known as shortness of breath. 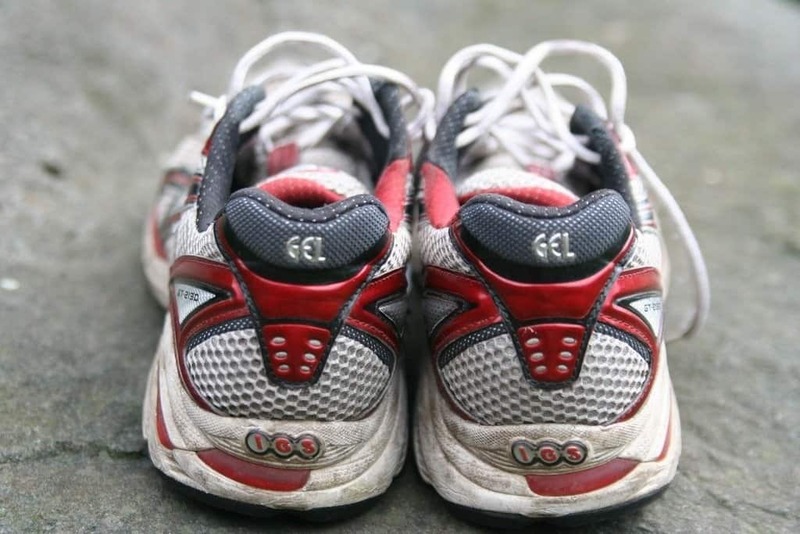 Running also causes the buildup of something known as lactic acid. Lactic acid is produced when the body begins to metabolize glucose stores because it is not receiving enough oxygen to keep moving – essentially, the human body will begin to break down fat to release much needed energy. This is what causes the burning sensation people feel after exercise and can actually be considered a good thing – after all, it means the runner is using up unnecessary fat stores. So, runners breathe heavily after a race because they are trying to replenish their supply of oxygen while eliminating unnecessary carbon dioxide which has built up as a waste product. It’s a simple process but one that is necessary for humans and other animals to stay alive on a daily basis. Since heavy breathing is often caused by shallow breathing, there are a few tips and tricks runners can follow to stay healthy and improve their respiratory rate. The best thing runners can do to stop themselves from breathing heavily is spending a few runs learning how to inhale and exhale properly. The first step is improving posture. Runners need to keep their backs straight and shoulders relaxed since slumping or slouching diminishes lung capacity and cause a buildup of carbon dioxide. In addition, developing a breathing routine through your nose rather than mouth helps with dry mouth and allows for a more relaxed run. Next, runners need to focus on exhaling deeply. Often, when running, people will start to take short, shallow breaths. This might be a natural response but actually prevents the body from pulling in enough oxygen and expelling carbon dioxide, which will just sit in the lungs, making it more difficult to breathe. These two steps, improving posture and focusing on deep breathing, should be enough to diminish how heavy a person breathes after a race. It sounds easy, but it will be difficult for even a seasoned runner to change their breathing technique. Many professionals recommend that people start by practicing both steps during a one minute walk, then a one minute jog, and then a one minute run. They can repeat the exercise until they have it down to a reflex. Just like anything else it does take time and the more you practice the less you are are going to look like this guy at the end of a race.. So, why do runners breathe heavily after a race? It all comes down to carbon dioxide and there being a limited amount of space in the lungs for the components of air. If people struggle with heavy or labored breathing while running, they can practice the above techniques to improve their oxygen inhalation and carbon dioxide exhalation.